Today I am sharing some ideas for using free tins to make organizers. We seem to accumulate a lot of these decorative tins. This is a great way to use them. 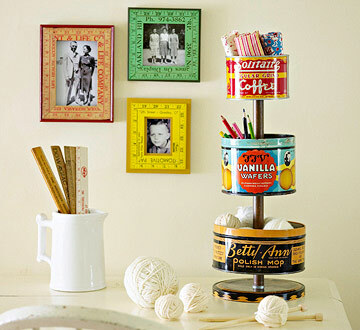 Make a vintage tin 3 tier organizer. Instructions are at BHG.com. 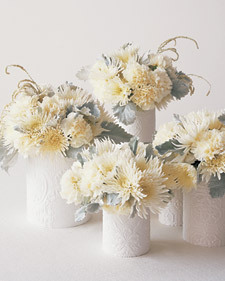 Here are a couple of easy ideas for flower vases from Martha Stewart. 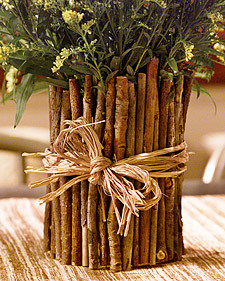 For a primitive look, glue twigs around a coffee can and add a raffia bow. For a more modern look tape wallpaper around the can using double stick tape to close the edges. 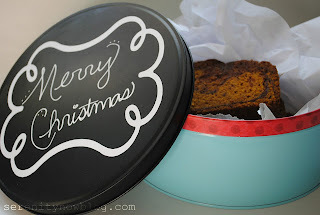 Learn hot to make this decorative chalk board tin for gift giving on Serenity Now.